Pick up receipt. Check receipt details. Input expense in correct place. Check VAT category. Assign VAT to correct place. File receipt. Repeat. Inputting business expenses can be a chore. At best, it is time-consuming and repetitive. At worst, if you have several employees who are all submitting evidence of expenses to one central finance function, it is difficult to manage and can lead to errors. Receipt Bank is a clever Xero add-on that can read and analyse a digital image of a receipt – and then accurately post the expense and VAT to the correct places! Receipt Bank allows the user to upload a digital image of a receipt (taken on a mobile phone for example) to the application. Using Optical Character Recognition (OCR) technology the software then ‘reads’ the receipt and places the data in the correct place in the accounting software. A record of the expense will be made and the VAT will be logged. We have been particularly impressed by how accurate the application is and the VAT treatment functionality. To find our more about Receipt Bank, please ask your usual advisor, contact one of our offices or enquire online. Managing cashflow is vital to any small business, so anything you can do to encourage customers to pay promptly is a good thing. When you generate an invoice with Xero, the Stripe add-on allows you to offer customers the facility to pay your invoices online. Once you have set up an account with Stripe, you can enable the ‘online payments’ functionality within Xero. This allows you to add a ‘pay now’ button to your invoices, and for your customer to pay you instantly online. Any payments made online will be recorded against the correct invoice in Xero. 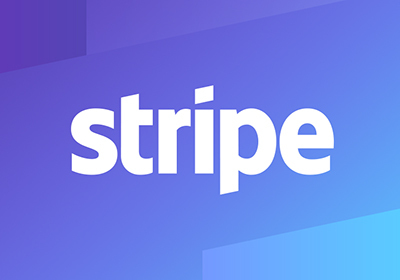 Stripe charges a small fee for processing each payment and this will be allocated automatically to transaction charges, simplifying the sales receipts reconciliation process. To find out more about Stripe or other payment apps, please ask your usual advisor, contact one of our offices or enquire online. There are Xero-compatible apps to help with almost every area of business administration and financial management. Whilst we haven’t had chance to try them all out yet, we can provide additional support with Xero add-ons that are designed to simplify job costing, stock control, payments, reporting and more. If you would like to know more about Xero or any of the Xero add-ons, please speak to your usual advisor. Alternatively, contact one of our offices or enquire online.